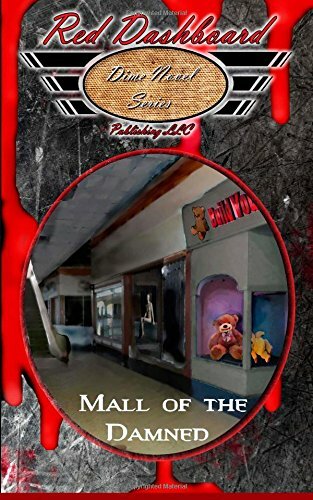 A rare blood disease is running wild among the young people in East Valley Mall—PAAN for short, Audrey has enlisted Quincy, the mall manager to help solve the mystery. 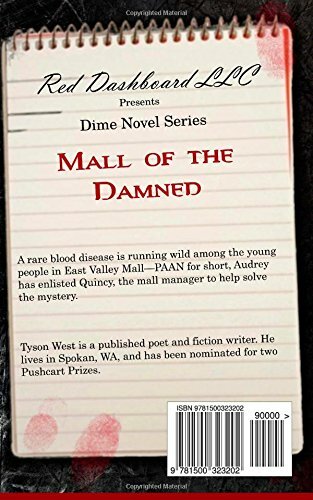 Tyson West has published poetry, including haiku, traditional western poetry, free verse and experimental poetry, form verse, and had two poems nominated for a Pushcart Prize. His Steampunk short story, “The Wulver”, was published in Voluted Tales and “The Thirteenth Victim”; a vampire short story was included in an anthology called “You Can’t Kill Me I’m Already Dead”. 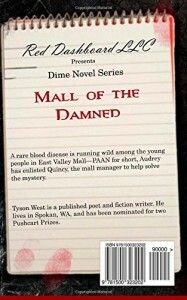 His western and food poems have also been published in Cowboy Poetry Press, and Annapurna Magazine.